That hurdle was removed on Tuesday, when the city’s Board of Elections (BOE) ruled against De La Fuente after two Malliotakis supporters, Bryan Jung and James Thomson, filed objections against his ballot petition signatures with the blessing of the Malliotakis campaign. The objectors contended that hundreds of the candidate’s signatures were forged, and the board agreed. While it cleared the field, the move may have created a different kind of hurdle for the presumptive GOP nominee, who expects to face off against the winner of the September 12 Democratic primary, likely incumbent mayor Bill de Blasio. Though she has previously called it a waste of taxpayer money, Malliotakis is a participant in the city’s public matching funds program (she's said she's still against it but must participate if her opponents are). The initiative, run by the Campaign Finance Board (CFB), matches individual donations of up to $175 at a six-to-one ration for candidates that meet certain criteria and agree to restrictions on spending and debate participation. 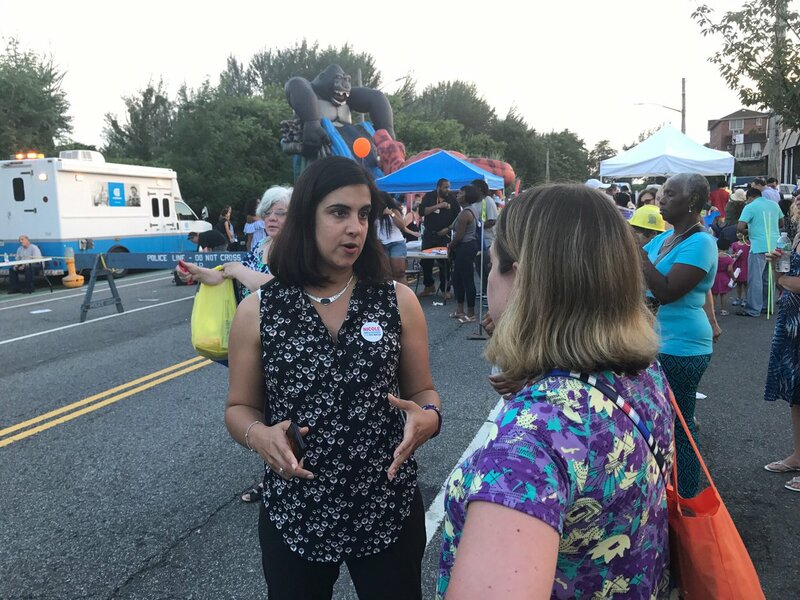 One criteria to receive funds is that a candidate must be in a competitive election; with the exclusion of De La Fuente from the GOP primary, Malliotakis’ camp has essentially disqualified itself from receiving any public funds before primary day. On Thursday, the CFB voted to approve the disbursement of about $2.57 million in matching funds to de Blasio after he somewhat controversially submitted a statement of need arguing that his main Democratic opposition – former City Council Member Sal Albanese and police reform activist Bob Gangi – constituted more than just minimal opposition, based largely on media exposure. Until such a statement is approved, a candidate can receive up to 25% of the maximum allowable payments per race, which for mayoral races is a little over $958,000 of the possible $3,832,950 in funds, as long as they have some competition. The public funds haul leaves the mayor with over $5 million on hand. After the primary election, he is eligible to receive up to another $3.83 million in public funds if he can likewise prove that the race will be competitive and raise more matchable donations. De Blasio can now reasonably spend a good deal of money in the primary to get his message out. Malliotakis actually also submitted a similar statement of need to the CFB in which she lists De La Fuente as her opposition, incorrectly arguing that he is a non-participant in the matching funds program and that he intends to self-finance his campaign. In fact, the CFB’s records list De La Fuente as being a participant in the program, meaning that he would be held to the same thresholds and standards that Malliotakis would. A Gotham Gazette analysis found that Malliotakis has raised about $140,000 in funds eligible for public matching – contributions by individuals living in the city of which up to $175 is counted – out of the $250,000 necessary to qualify for the program. This means that even in a contested primary election she would still be ineligible to receive public funds for now. Matt Sollars, a spokesperson for the CFB, confirmed that even if Malliotakis does manage to raise enough funds to hit the threshold before September 12, the lack of a primary opponent will bar her from receiving the potentially millions of dollars that she would otherwise be entitled to. That fact raises the question of whether it was smart for her allies to move to knock De La Fuente off the ballot, given that Malliotakis would have been a strong favorite to defeat him in the primary. She also forgoes the exposure that one or two primary debates would have brought. It does, however, allow her to focus on raising money to use only for touting her candidacy and attacking de Blasio. And, Malliotakis has been able to garner significant media exposure thus far by identifying a variety of points on which to criticize de Blasio. While de Blasio has all that extra money to spend, he will be debating Albanese and possibly others at least once, if not twice, both offering him a platform to reach voters and putting him in a high-profile venue for criticism and possible gaffe-making. Once they have qualified, candidates for mayor are able to receive up to $3,832,950 for both the primary election and the general election; once they have raised the necessary $250,000 in eligible donations from at least 1,000 city residents, they are qualified for both elections as long as they have opposition. They are not required to spend all of their primary election funds in order to receive general election funds, and in fact are barred from spending more than $6,969,000 per election. As of the mid-July campaign finance filing, Malliotakis had raised a total of $344,421, with $275,324 available to spend after expenses. Her next filing, due mid-August, will shed light on whether she has been able to pick up the fundraising pace and how close she is to qualifying for matching funds. In a statement at the time of the July filing, Malliotakis campaign spokesperson Rob Ryan said, "In a little more than two months the Malliotakis campaign has raised nearly $350,000. We are meeting our projections and expect to qualify for the Campaign Finance Board’s matching fund program in the next fundraising period. That means Bill de Blasio will be facing a competitive challenger on Election Day." In a phone conversation, De La Fuente said that he does not intend to appeal the BOE’s finding. Even if there was a ruling in his favor, he would be added to the ballot just before the primary, a situation he likened to running a race where your competitor starts near the finish line. Instead, he said he was in the process of compiling evidence of what he called Malliotakis’ “fraud” and would be posting it online as well as sending it to the state attorney general for investigation. 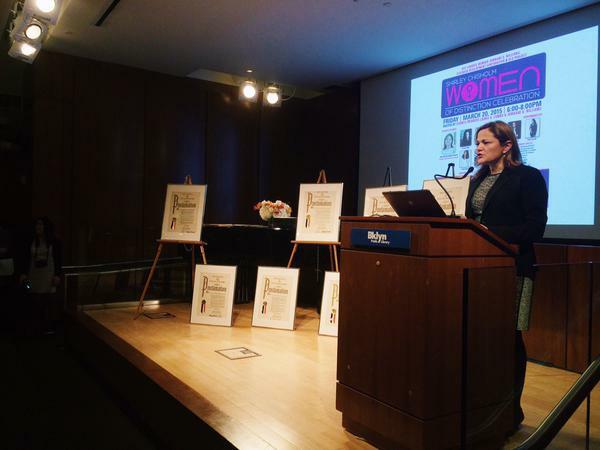 New York City Council Speaker Melissa Mark-Viverito has been the subject of much speculation of late. She is the most powerful member of the Council and influential in politics beyond the city. As a woman of Puerto Rican descent she represents a voting bloc that is woefully underrepresented in New York elected offices. She also maintains a busy travel schedule and ties to a wide swath of progressive causes, and she has more than a few dollars in the bank. But on December 31, 2017, she will be term-limited out of a job and risks having her political momentum stalled. 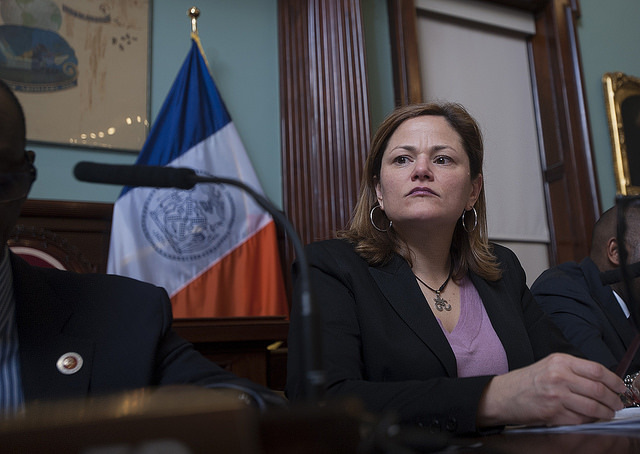 Mark-Viverito will be forced to look for a new position in the city or venture, as many of her colleagues have, to the state or national political sphere. The current mayor, comptroller, and public advocate are all Democrats who plan to run for re-election, leaving her, likely, without a city-wide office to run for in 2017. And yet Viverito has raised $152,000 in campaign cash, which sits in her city account, and clearly plans to raise more. Asked about her political future in a recent WNYC interview Mark-Viverito responded: "The door is open. I don't know what options will present themselves. But you can never be over-ready, and I'm trying to be as ready as I can in terms of figuring out what paths open up for me after I leave the City Council." What Mark-Viverito can do with the money she accumulates in her city campaign account is limited due to complex campaign finance rules that govern separate city, state, and federal systems. Unlike some states where municipal and state systems are more aligned, New York is home to three distinct sets of city, state, and federal campaign finance rules. "There aren't three more different systems out there," said Blair Horner, legislative director of The New York Public Interest Research Group (NYPIRG). In some sense, good government groups and reformers like Horner see New York City's - which allows candidates to opt in to a taxpayer-funded system that provides matching funds and requires candidates to raise small amounts of cash from a diverse number of donors - as a model for other locales to follow. The city's Campaign Finance Board (CFB) regularly conducts audits of campaign accounts, enforces donation and expenditure limits, and caps the amount of public funds each candidate is eligible for based on office sought. In comparison, the state system is the wild west. It is well-known that the city system comes with a great deal of rules and reporting, while the state system is far less regulated - the latter continues to be the focus of reformers who want to see a public matching system and other changes in place. As state lawmakers negotiate possible ethics reforms including several related to campaign financing and expenditures, there may be several politicians, like Mark-Viverito, especially interested in the new rules - or who even need to bone up on the current ones. It is not uncommon for state lawmakers to seek seats at the city-level and vice versa; there is also plenty of precedent whereby state-level officials seek congressional seats. Candidates can move cash from the city system to the state system, but they can't take any matching funds provided by the CFB with them. "After we account for all public funds they received through our audit process they are free to transfer what they have left," said Matt Sollars of the New York City Campaign Finance Board. Sollars notes that former Council Speaker Christine Quinn had a $5 million war chest left over from her failed 2013 mayoral bid. Quinn returned $3.5 in matching funds to the CFB and has $1.5 million in a city account that could theoretically be transferred to a state account without a hitch. Candidates can also use these funds to give to other campaigns. 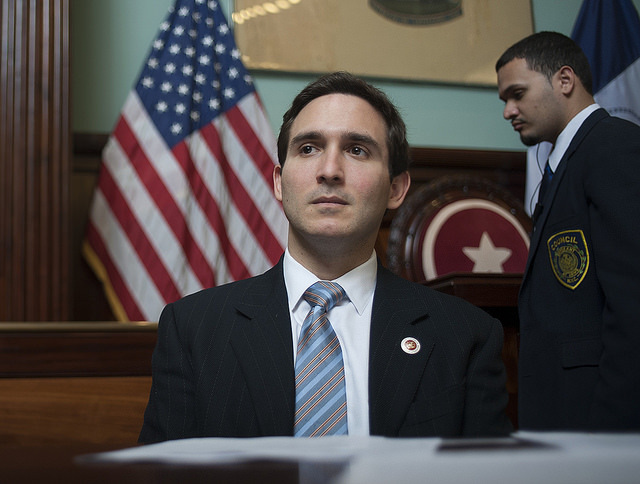 Bronx Council Member Fernando Cabrera went about things the wrong way during his 2014 state Senate primary challenge against Sen. Gustavo Rivera. Cabrera transferred around $33,000 from his city account to his state account ignoring the fact that he owed the City $23,000 in matching funds. "Public funds left over from the 2013 council election are owed to the City and may not be used in a 2014 state election," Sollars told reporters at the time. "The law places clear restrictions on post-election spending and does not allow candidates to use public matching funds to build a war chest for future elections. The CFB will be notifying this campaign that these leftover funds must be returned." Cabrera's campaign later issued a statement that the transfer was a "result of not fully understanding our City's Campaign Finance guidelines"; and it returned the funds. "I imagine moving from city to state must feel liberating," said Horner, referring to the State's lax limits and nearly non-existent enforcement. The New York State system has donation limits far higher than most other states and last year the State Board of Elections said that the Supreme Court's Citizens United decision had rendered its $150,000 annual limit for campaign contributors "unenforceable." Even with those lax limits state law includes a loophole that allows unlimited contributions through limited liability corporations, or LLCs. Governor Andrew Cuomo has been the greatest beneficiary of the situation. Donors can contribute the $60,800 maximum for gubernatorial candidates as many times they want through different LLCs. In fact the New York Times has reported that the Cuomo administration has encouraged the practice to ensure yearly multi-million dollar commitments from individual companies. While speculation about Mark-Viverito's future persists - in part because she continues to raise money - it is unlikely she will seek a state-level office. There continue to be rumors about Mark-Viverito's ally, Mayor Bill de Blasio, having gubernatorial ambitions - he or any other city official who does try for a state-level run will need to know the rules. Others potentially in this category include Manhattan Council Member Dan Garodnick, who is also term-limited out of the Council at the end of 2017 and has continued to raise money - which could be used for a run for borough or city-wide office, or a state-level run. There are several other council members who are in their final terms and may be looking for new employment in the capital, of course. "Moving from state to city where there are rules that they actually enforce must feel like a cold slap in the face," said Horner of the flip side of the equation. In 2013, several sitting members of the state Assembly ran for and won city council seats. Eric Adams went from the state Senate to Brooklyn Borough President. Horner posits that the city system forces candidates to become better fundraisers and better representatives. "In the city system you have to have the skills or political infrastructure to raise from a large amount of small donors in these relatively large districts. At the state level you just need to call the right few rich donors and if you know what you are doing you can get unlimited donations through the LLC loophole," said Horner. A number of other candidates, including Domenic Recchia and Vincent Gentile, have made the move to the federal election system. Gentile, a former state senator who is a sitting city council member currently running for Congress, has now used all three systems. There are rumors that Mark-Viverito might make the move from the city to the federal system herself in attempting to replace retiring Rep. Charles Rangel come 2016. The federal system does not allow candidates to transfer funds from their city accounts, and according to Horner, the federal system has tighter restrictions than the state. "The federal system is a mix of the other two," said Horner. "There is a move for deregulation, but there are substantive limits that are much tighter than the state system where you can basically get unlimited donations." Some candidates have tried refunding donations from their city accounts in conjunction with asking supporters to donate the same amount to their federal accounts. If rumors that Mark-Viverito is planning a 2016 run for Rangel's seat are true (she has denied any interest, saying she intends to stay her entire final term on the Council), Horner says anything she has stored in her city account won't help her, but that the experience she has in raising from a litany of small donors across her large district that covers parts of Manhattan and the Bronx will. "I can't imagine the experience of running in the city system will do anything but help," said Horner.